Drive DMX-512 based LED fixtures, fluoros or tungsten dimmers. Proudly we introduce our third generation flicker generator taking advantage of HD effects, 3 channels and presets for the DMX-512 output & input for sophisticated LED fixture set-up – with a huge step forward with firmware 2.0, now shipping. Get the free upgrade. The LFX Master Series´ high resolution flicker curves ensure realistic looking lighting effects, with a single channel or with three channels for fire with flickering shadows or TV-RGB effects. Numerous presets retrieved from the device library (e.g. 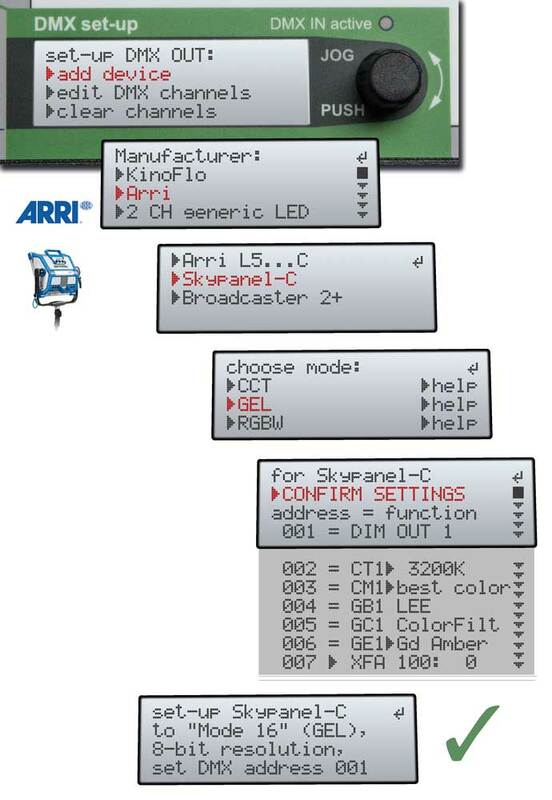 for Kino Flo LED series, Arri LED products) makes it easy to set-up the DMX communication with no hazzle. Select Kelvin as 2500 – 10000 K values, gels by name and many more fixture parameters instead of entering decimal DMX numbers. Not necessary to read fixture manuals. As a result it´s more than easy controlling LED fixtures, fluoros and tungsten dimmer packs – it´s fun! Create the highest quality of lighting effects of fire, candle, TV, welding, “broken” fluoro & more. Need a flicker box with built-in autosense tungsten dimmer 100 to 230 VAC? Go for LFX Master dim. Our passion is perfect looking lighting effects in the motion picture industry since +20 years. 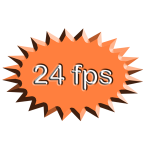 In this flicker box all pre-programmed effect presets have a resolution of 24 fps. Additionally the “Transitions” -function shapes the signal from smooth to hard, suitable to the type of lamp and power you prefer to use – LED or tungsten from 25 W to 10 kW. Use lamp with small surface of omitted light, e.g. household type bulb or small LED fixture. Composition of “cuts” and “pans” simulates a lighting effect of a TV. for LED choose GEL, kelvin, green/magenta. Also use as a short-circuit effect. Effect of a not properly working fluorescent tube made for LED fixtures. 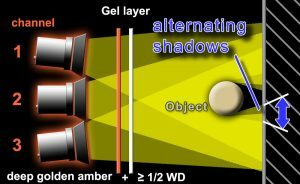 Strobe soon Simulates symmetric flashes. Ideal for effects of a neon sign up to strobe light. Individual Kelvin and GEL settings can be directly configured during set-up with a preset from the device library. 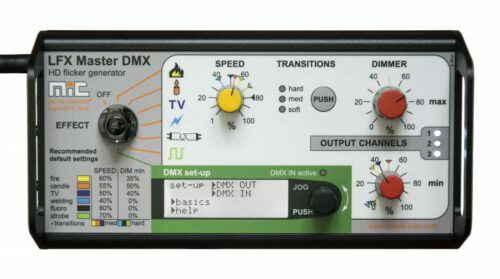 If used with an external simple 6-channel DMX console connected at the DMX input dim the levels of the three channels separately. In this clip please see a demo of the “Transitions“-function. Unlimited power – the maximum output power depends on the max power and number of the connected dimmer pack. A realistic looking fire effect of the flicker box using a single Skypanel-C. Remarkable color shifts here used with gel “Gold Amber” and “Light Red” using the x-fade feature of the fixture with the Dim channel 3 of the LFX Master DMX. Choose arbitrary gels in the LFX Master DMX OUT control panel. For fire effects with flickering shadows use three SkyPanels attached close to each other. 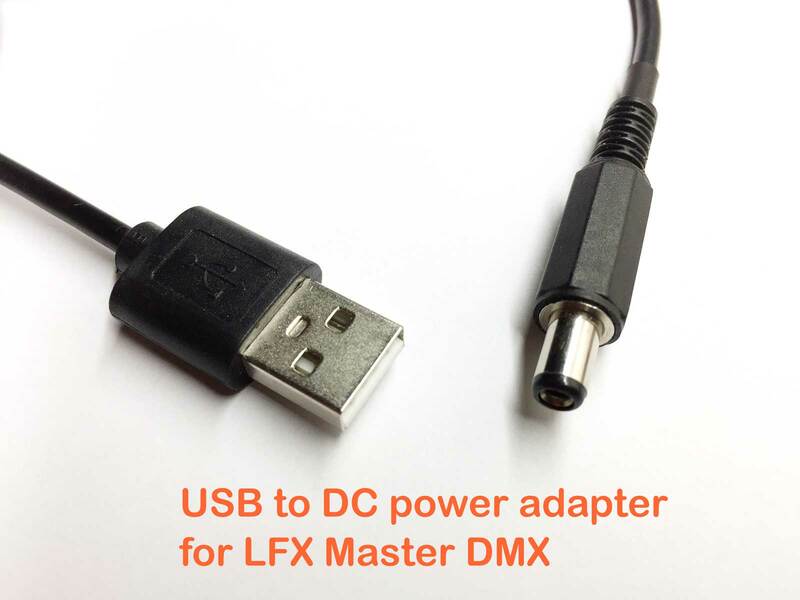 LFX Master DMX is powered by the SkyPanel´s USB port with adapter included in delivery. See a realistic looking fire effect applied with a single LED fixture. The flicker box controls here a Dedolight DLED2.1Y-Bicolor LED fixture, 20 Watts. The candle effect preset creates natural looking lighting FX. The small light emitting surface of this 20 Watts LED fixture is ideal for an effect of a candle. If you need more punch choose the big brother DLED9.1Y-BI (90 Watts). Simulates a projection of a TV set or a movie projector in RGB or fixed Kelvin. The preset has a composition of “cuts” and “pans”. Simulates a lighting effect of welding. 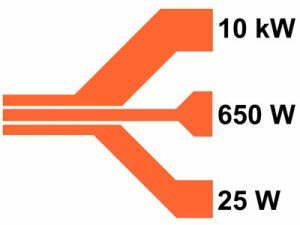 Set fixed Kelvin value 6000 K or above. Here we use a Dedolight DLED2.1Y-BI with 20 Watts and DMX interface. This lamp is perfect because the surface of omitted light is very small. For more power use the Dedolight LED fixture with 90 Watts. You may also use this for a short-circuit effect. Effect of a “broken” fluoro tube using a LED fixture with adjustable kelvin. New within the FREE firmware upgrade 2.0 you may now enter/edit the “real” fixture values of Kelvin, green/Magenta adjustments, hue in degrees, saturation in percent instead of decimal DMX numbers. 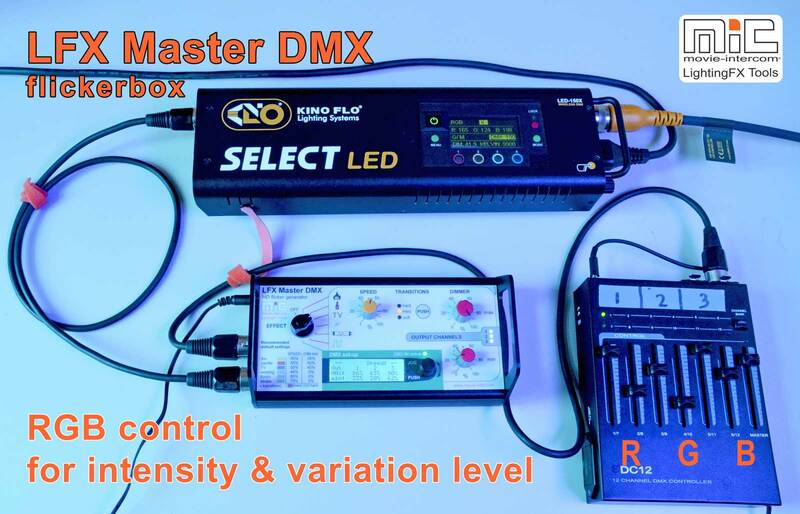 This vastly simplifies the DMX set-up of LED fixtures. Even most simple: a device preset will configure all these settings for you with one click. As an example please see the Skypanel-C simplified set-up shown here or watch the teaser video on top. The gel libraries are introduced with the new firmware 2.0. You can now select a gel by name within the gel library. Thus it is not necessary any further to study the operation manuals of Arri´s and Kinoflo´s LED fixtures. Also all “real” fixture labels and values are now taken over to the expert mode. This makes it much easier to modifiy your current settings. See all the improvements of firmware 2.0 here. Even if there is currently no device preset in the list of available presets – you can create your own one in the expert mode! Need for a new device preset? Contact us, we´ll build it for you with a new firmware. Please see the list of device presets in the specs. 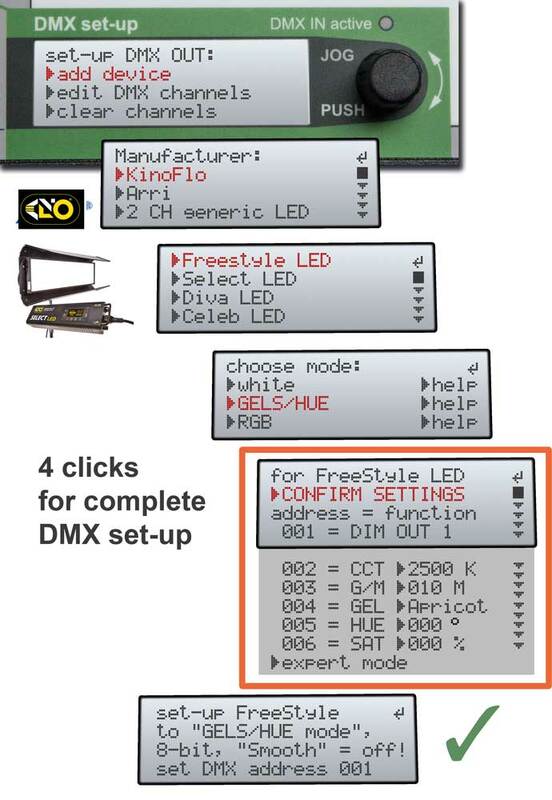 Simply select a device from a list, the LFX Master DMX will then display all required settings for the gear. 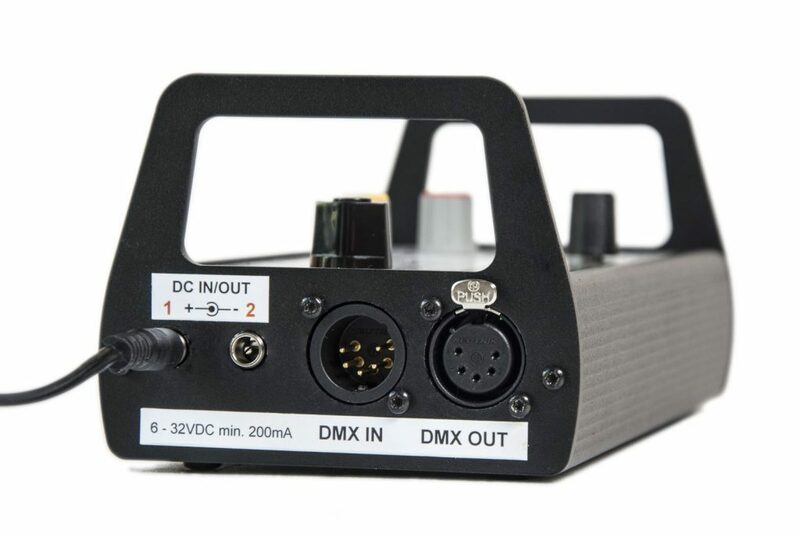 Because of the option to manually set-up DMX channels as well there is virtually no limit to get any – most likely a LED fixture – gear working. Use the LFX Master DMX as an inline device in an existing DMX universe or control LED fixtures, dimmer packs or fluoros out of the box. Original flames of a fireplace are in motion. So the lighting source should be. The 3 channel “fire” preset of this flickerbox automatically alternates the dim level of each channel the way a real flame would behave – flickering shadows. For TV effects even the color changes in RGB mode of an LED fixture. You may use a DMX-512 based 3 x 5k dimmer hooked up at the DMX-output of the LFX Master DMX flicker generator. Alternatively use CTS and other colored gels, or even better if used with LED: add a gel by adding a DMX channel with a fixed value. 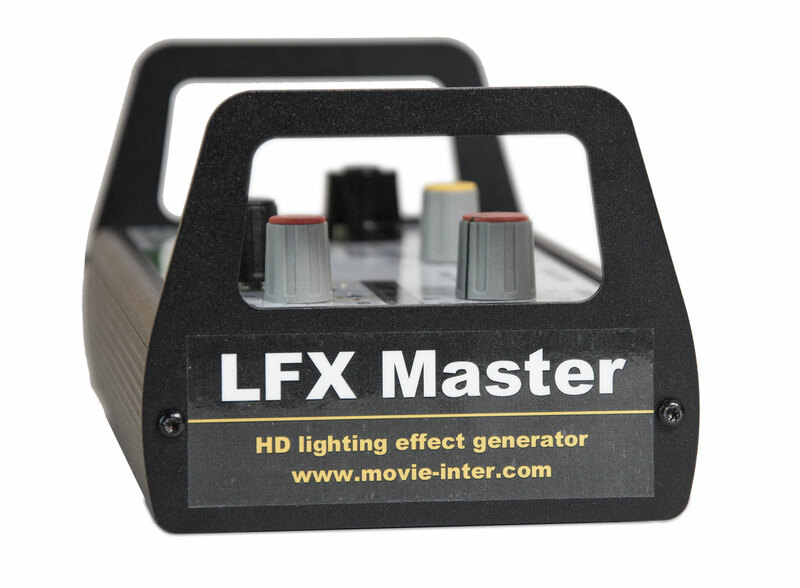 Besides the adaptation to the filament inertia the “Transitions” feature of the LFX Master DMX modifies the transitions between the channels (hard, medium, soft). See a sample video using three Kino Flo Select LED fixtures with flickering shadows. See a sample video using a single Kino Flo Select LED fixture. Or see a sample video using a single SkyPanel-C.
Use “Transitions” for different styles of e.g. fire – from aggressive to smooth. 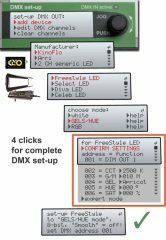 Extend the functionality of the flicker box with a DMX input signal. 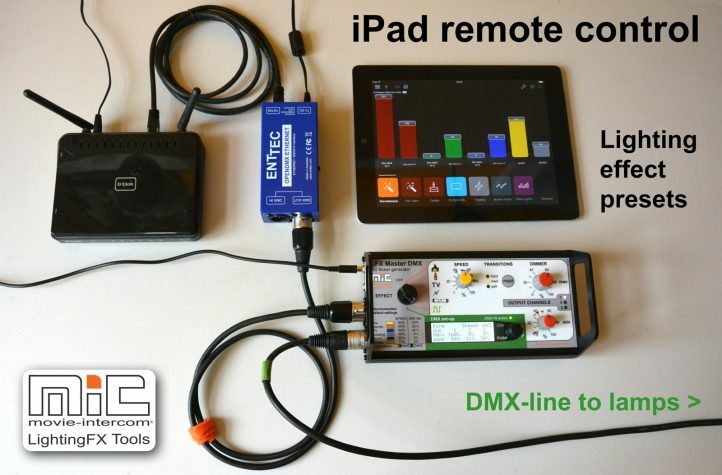 We suggest to hook up a simple 6-channel DMX console. 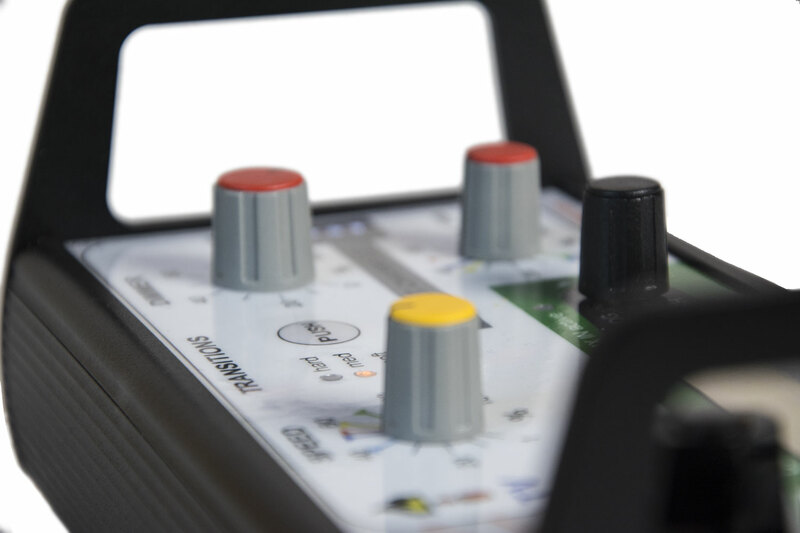 Advanced users use a professional dimmer console for full remote control of the LFX Master DMX. Dimming of MAX & MIN dim values for all three output channels separately. Patch any fader of the console to any function of the flickerbox or DMX output address, e.g. 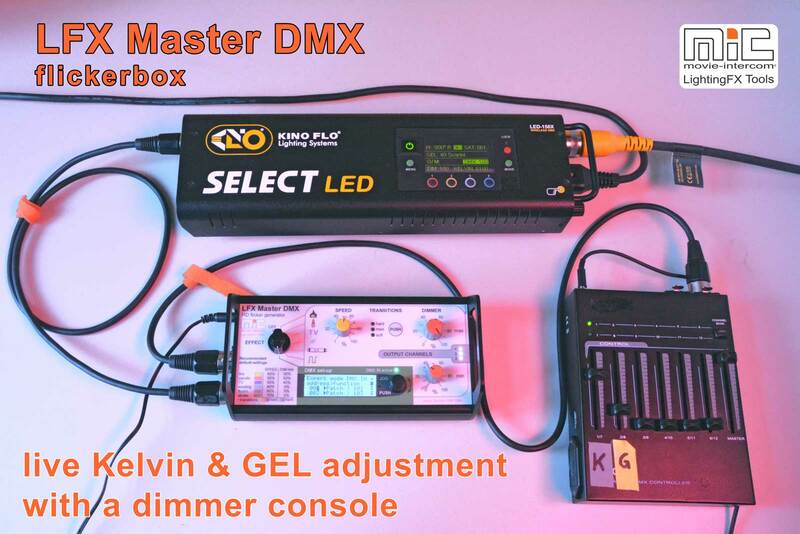 set the DMX channel for GEL to fader #1 of the console > live adjustment! 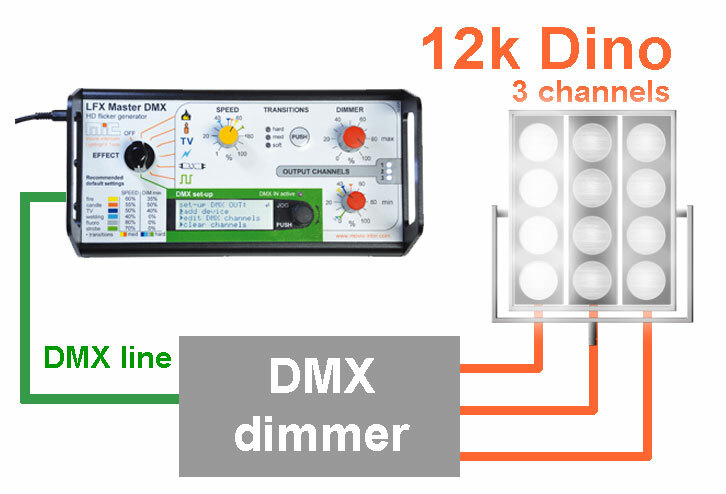 In addition use the LFX Master DMX as an inline device in an existing DMX universe. These powerful features guarantee a maximum of efficiency and convenience during shooting. This is a preview of the powerful wireless options of the LFX Master DMX. Use the Luminair App for wireless remote control of the flicker box. For most easy set-up we will provide the project files of Luminair for Kino Flo LED fixtures, SkyPanel (Gel mode – as shown in the video – and RGB mode) and for different effect scenarios. These project files including a set-up instruction for the flicker box will be available for free from www.lfxmaster.com soon.